Tours depart daily (except Sundays from November to March) at 1.15 and 2.25 pm. Tours are available throughout the year. We are comparing Chianti Half Day Afternoon Tour Prices from leading ticket suppliers and Try to find you Cheap tickets prices on the market. The City of Florence is certainly a beautiful one and the Tuscan countryside surrounding it is equally charming. Made up of lush hills, cliffside villages, hilltop fortresses and authentic wineries, this afternoon excursion from Florence offers a combination of sightseeing and wine tasting letting you discover the best that this region has to offer. 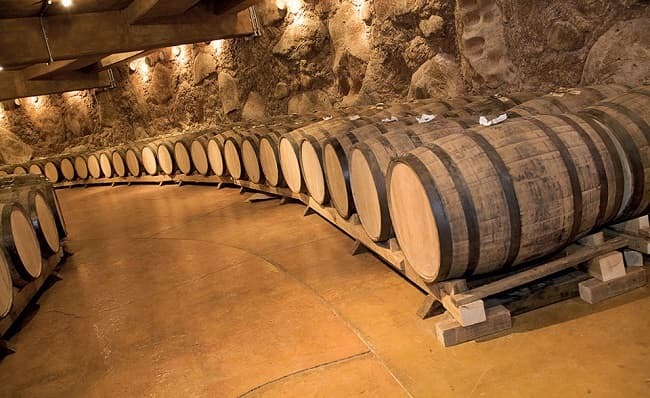 During the tour you will visit 2 local wineries, take a stroll through the vineyards and see how the grapes are collected crushed and fermented into wine. You will be invited taste a selection of Tuscan wines, perhaps a glass of Chianti Classico or, for a sweeter taste, the Tuscan Vinsanto. Your hosts will also supply cold cuts and bruschetta. Later you will visit the walled city of Monteriggioni, the very same medieval fortress mentioned in Dante's ‘Divine Comedy'. You'll have some free time to explore before continuing through the Tuscan countryside to the village of Greve in Chianti. Famous for its market square and quirky artisan shops, you can browse for souvenirs or pick up a bottle or two of your favourite wines. At the end of this 6 hour afternoon tour you will return by coach to Central Florence. You don’t have to be a connoisseur to enjoy this afternoon trip from Florence. If you’re looking for a fun and sociable trip with combines sightseeing, wine and food, then this is for you. Suitable for children as well as adults although they will not be able to taste the wines. Your Experience With Chianti Half Day Afternoon Tour? Visit wineries in the beautiful Tuscan countryside and sample a selection of local wines and cold cuts. Travel by air-conditioned coach from Central Florence to the rolling hills of Chianti region, stopping at the hilltop fortress of Monteriggioni, 2 wineries and the village of Greve in Chianti. Enjoy the company and commentary of an excellent multilingual guide on a pleasant afternoon tour of Chianti. What Chianti Half Day Afternoon Tour Includes? Round trip transportation by coach from Central Florence. An English, Spanish, French, German or Italian speaking guide. Visit to 2 Tuscan wineries with wine tasting and food tasters at each location. Leave from Central Florence – travel to 2 vineyards – tour followed by wine and food tasting – visit Monteriggioni – visit Greve in Chianti – return to Central Florence. There is a large local market in Greve in Chianti where you should be able to find most of your favourite wines and locally produced food. You may even be able to taste before you buy. Travelers Reviews about Chianti Half Day Afternoon Tour? This tour has 4.4 out of 5-star reviews on Get Your Guide. It has 4.5 out of 5-star reviews on TripAdvisor and Viator. Most comments agree that this is a fun and educational trip into the Italian countryside. Many travellers would recommend this tour. Depending on the tour provider you may be entitled to a refund for cancellations made up to 24 hours prior to departure. Meeting Point: Central Florence, please confirm exact meeting point with your tour provider.